I went against popular advice for my area and planted our garden over the long weekend. Our spring season can be very touchy and we’ve had snow as late as June 1. This year, I looked Mother Nature in the eyes and I didn’t back down. Actually, I checked the two week forecast and it looked promising. Everything went in two weeks early, and now I wait until we are out of danger of frost. I’ve been planting a garden now for about 10 years and I picked up these tips, mostly through trial and error, lots of error. 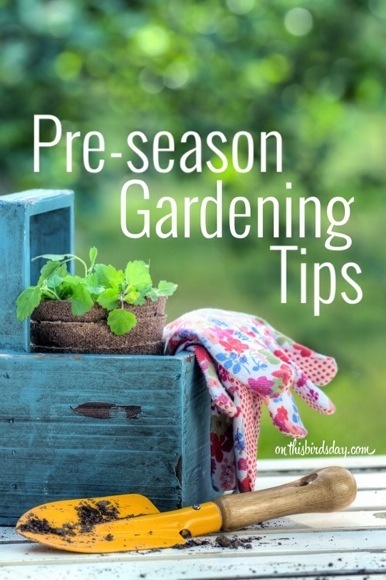 Plan your garden ahead of time. I make mental notes from the year before about what grew well and what didn’t. For example, our garden is against a fence, and last year I grew some peas in the front of the garden, away from the fence. We had a windy summer and some of our peas broke off at the base because they wire support wasn’t strong enough to hold them. This year, they are going right along the fence so they won’t get blown around too much. Learn what vegetables grow well in full sun and which prefer s little shade. This will help when you are deciding which plants to put beside each other. With our peas (mentioned above), we bought some plants to start, and I also grabbed some seeds. I planted the seeds close to the plant for more (and staggered) yields. This is also great in case there is a frost, or damage done to the plants early on as another will grow in its place. Danger of frost? You can still plant (some things). If our forecast looked more dire than it did, I would still have planted my root vegetables (carrots, potatoes, onions) since they are all started underground. Within those first two weeks, even if there is a frost, anything that is completely underground will not be affected anyway. The plants I had, would have been stored inside in the evening. Every May long weekend, I run (‘bound’ even) out to my garden excited for a day of planting. Make sure you pay attention to your own well-being while you are outside during those first few times. Don’t overdo it: Your muscles will hate you the next day, so remember to stretch, take breaks and take it easy on your legs, arms and back. If you think you’ve outdone yourself, make sure to relax, take a hot shower, and take care of those sore muscles so you aren’t out of commission for the rest of the month. 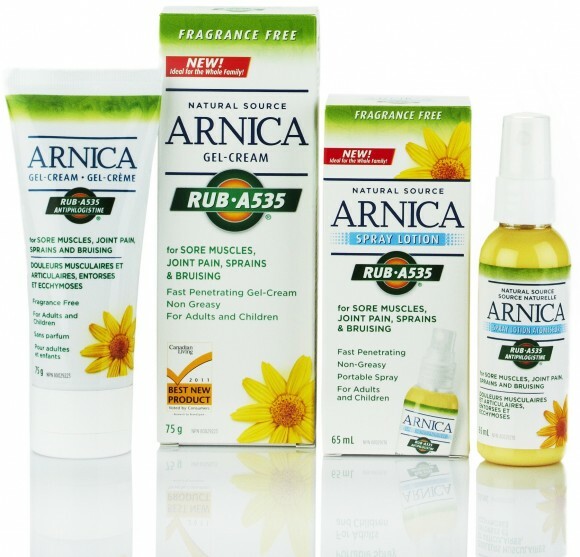 RUB A535 Natural Source Arnica Gel-Cream or Spray (made with 100% naturally sourced Arnica montana) is great for children’s (two years and older) bumps and bruises and for adult muscle soreness and inflammation. The fast penetrating formula starts to work on contact, giving all family members soothing pain relief – right when it’s needed! Remember your sunscreen and wear a hat. *Disclosure: I am an ambassador with Church & Dwight and receive compensation and product samples to facilitate my posts. Opinions are the authors and are not influenced.